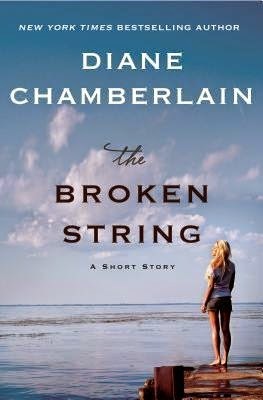 The Broken String is the prequel to The Silent Sister. This e-short story introduces us to main character Riley McPherson. It begins on a sad note. Riley's brother/protector/best friend is injured in Iraq. She hops on a plane and rushes to his side. But years later, family secrets have caused a rift between the two siblings. Will they ever be close again? I can appreciate back story and often like prequels. But The Broken String wasn't necessary. I only bothered to finish because it was less than 35 pages. 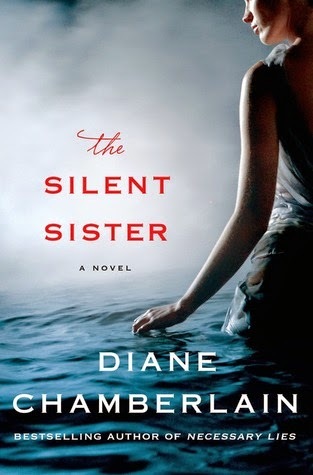 Although the e-short story was disappointing, I kept an unbiased mind when I started reading The Silent Sister. Diane Chamberlain's novels are the best family drama. I am guaran-damn-teed to get lost in a story with so many layers that it helps me escape the real world for days. The Silent Sister held up to the high standard. Riley McPherson was always told that her older sister Lisa committed suicide as a teenager. Twenty years later, Riley is cleaning out her father's house after he passes away. She finds evidence to make her doubt Lisa really committed suicide. Is she possibly alive? Riley works hard to uncover the truth and what happened two decades ago. Family secrets from the past pour into her future, making The Silent Sister a very hard mystery to put down until you've read the last word.